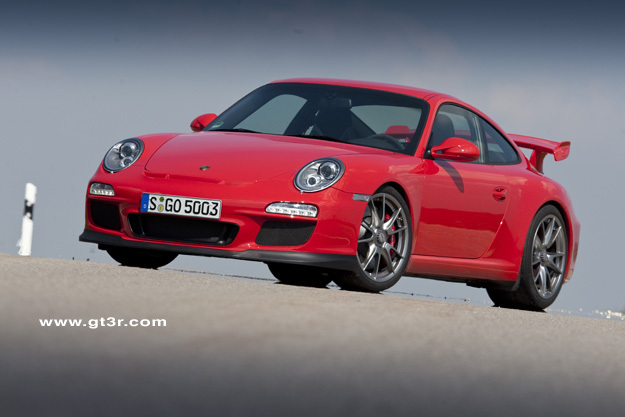 The second generation 997 GT3 (997.2 GT3) was a model everyone was anticipating. 3.8L engine, centerlock wheels, and the continued electronic improvements including dynamic engine mounts. PSM is also now standard. Porsche will launch the fastest, most powerful 911 GT3 to-date at the New York International Auto Show today. 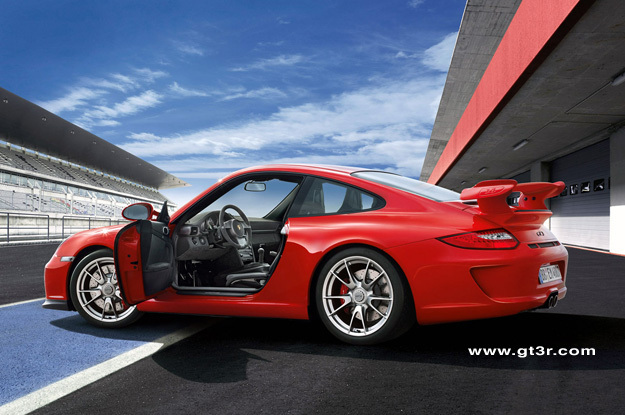 The high performance GT3 is the latest in the new generation 911 series and carries over a wide range of expertise learned from motorsports – resulting in superb capabilities both on road and on track. 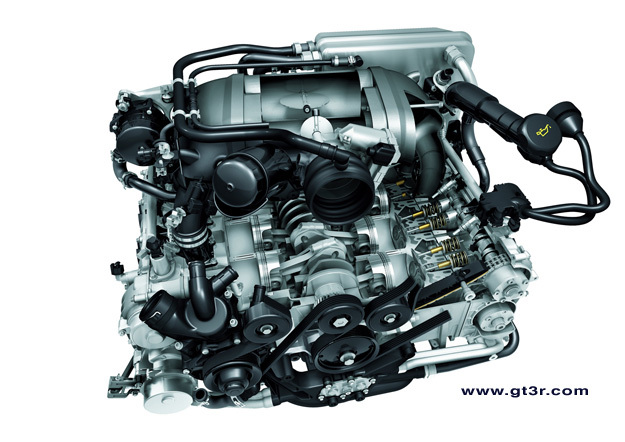 The 2010 Porsche 911 GT3 raises the performance bar thanks to an increase in engine size to 3.8 liters and VarioCam technology now on both the intake and exhaust. The naturally aspirated six-cylinder boxer engine develops 435 bhp, 20 bhp more than its predecessor. The new, larger engine offers a significant increase in torque at medium engine speeds, which is particularly important for everyday driving. Track performance is also improved; the new GT3 accelerates to 60 mph in 4.0 seconds and reaches a top track speed of 194 mph. 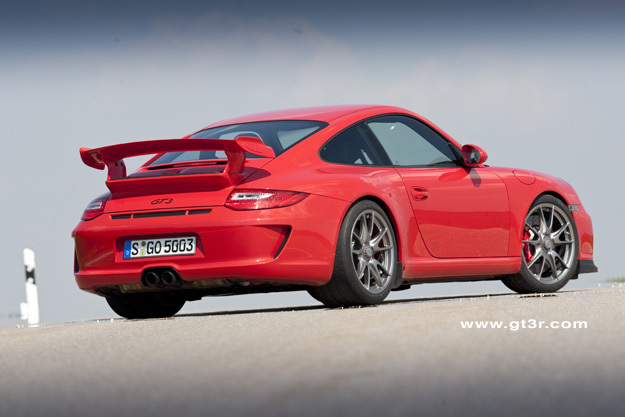 The new GT3 will be available with new and highly innovative dynamic engine mounts. Utilizing magnetic fluid, these inventive mounts automatically stiffen to create a more solid coupling between the engine and chassis when the car is driven energetically. This provides a sporting, rigid assembly on fast bends and winding racetracks yet allows for engine isolation and increased comfort while driving in everyday traffic. Traction is also improved when accelerating from a standstill. With driving dynamics and performance at an even higher level, the brake system, following a long Porsche tradition, has also been enhanced accordingly. Brake discs are larger and feature an aluminum hub to reduce weight. Increased brake ventilation ensures a high level of brake power over long periods, and the GT3 can also be equipped with PCCB ceramic brakes, developed specifically for this model. A new lift system for the front axle is also available. By utilizing an on-board air compressor, the front of the car can be raised for steep driveways or inclines. The touch of a button raises the front ride height by 30 mm, or 1.18 inches and at speeds up to approximately 30 mph. New, lighter GT3 specific center lock wheels and ultra-high performance tires round out the functional and visual enhancement of the GT3. 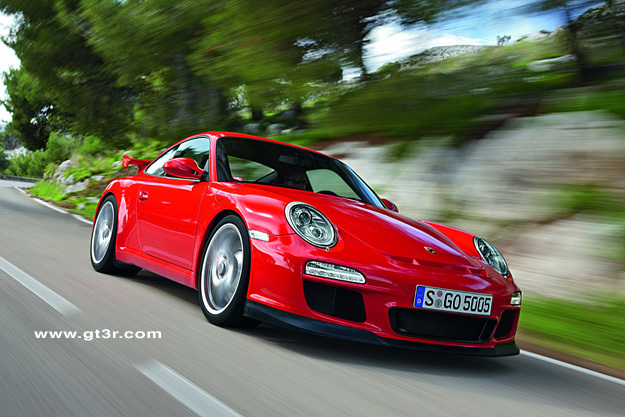 The 2010 Porsche 911 GT3 will be available in the fall of 2009, MSRP $112,200 US..